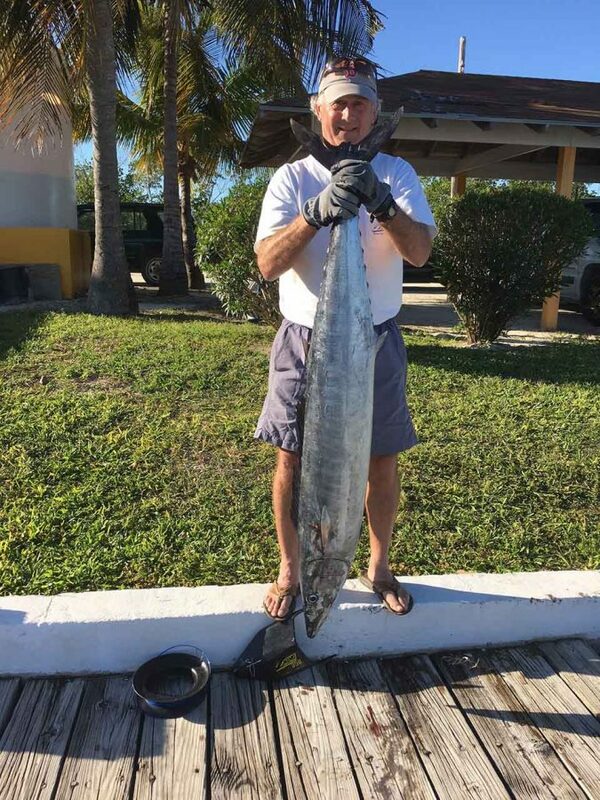 Robert M. Fortson IV, Cotton Bay Club caught this 50-pounds Wahoo in Outside Davis Harbour, South Eleuthera, Bahamas. The King family lands a 50-pound wahoo with a Z wing down-rigger out of Davis Harbour, South Eleuthera, Bahamas. Photo credit Cotton Bay Club.